Attention valued wholesale customer. In order to ensure the best security you will need to reset your account password on our new website. Please visit the sign in section and request a new password. A new password will automatically be emailed to you. Click the link included in the email or visit the My Account Login page. Using your new password, login to our all new account dashboard. From there, you will have the option to reset your password permanently. Once you login, you’ll see the new “Wholesaler Corner”. Here you’ll find exclusive content including customer announcements, industry insider news, tips, & insight on how to run a successful gym or mma business, and more! 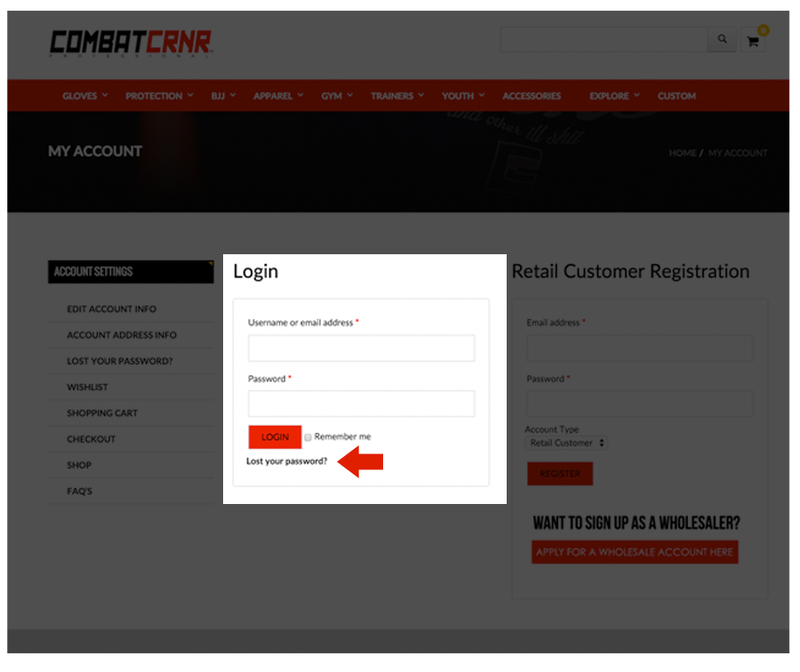 Our new website will make it easier than ever to shop Combat Corner & get the information you want & need to be successful.